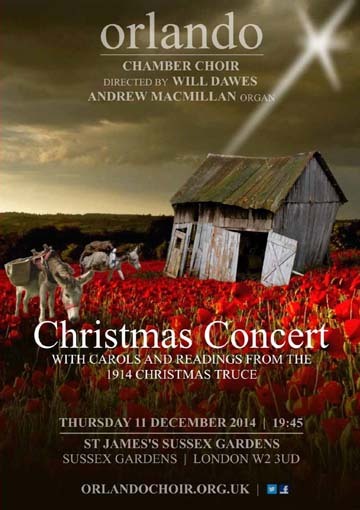 Orlando Chamber Choir's Christmas concert this year includes carols and readings from the 1914 Christmas Truce. There will be audience carols and a raffle in the interval with wine, mince pies and more. Rejoice!